You are here: Home / News and Articles / Hey! let’s get to know The Kree! 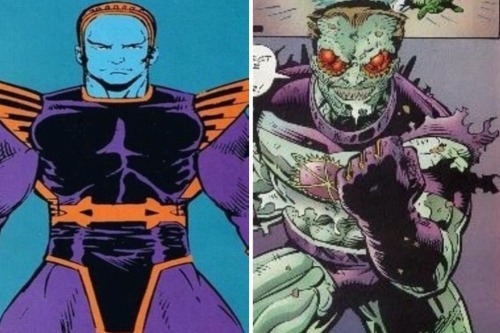 The Kree are an ancient and highly advanced alien race from the Marvel Universe. 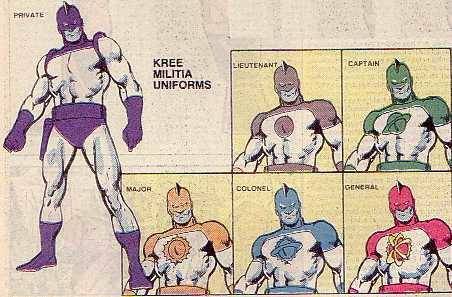 Millennia ago, The Kree came to Earth and performed experiments on prehistoric man, thus creating The Inhumans. 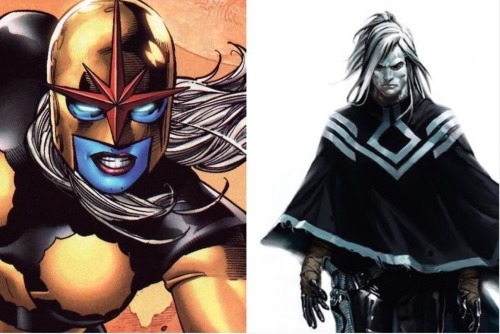 With Ewing and Meyers’ upcoming series, The Royals, it seems quite likely The Inhuman are once more going to come into conflict with The Kree. 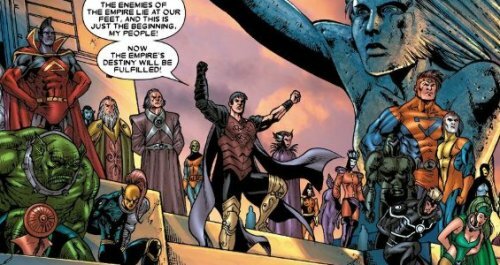 With that in mind, let’s take a look at the Kree Empire as well as some of the more notable individual Kree the Inhumans may end up encountering. 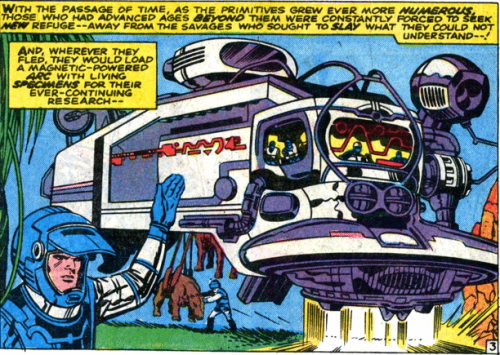 The Kree Empire was founded millions of years ago when the shape-shifting Skrulls came upon the planet of Hala and introduced the relatively less advanced native people to their technology. Led by Emperor Morag, the native Kree murdered their Skrull benefactors and stole the technology. The Kree eventually mastered and advanced this technology becoming a formidable space-faring force set upon conquering the known universe. The Skrulls ultimately returned to avenge the deaths of their emissaries and thus began the Kree-Skrull War, a conflict that has waged on for centuries. 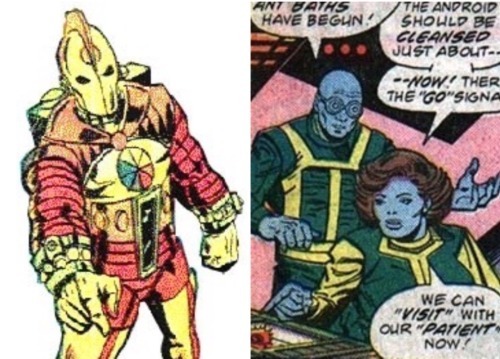 The constant war between the Kree and Skrull Empires led both sides to develop newer and more advanced weapons. The Skrull devised the reality warping Cosmic Cube whereas the Kree pooled their greatest intellects together to create a flawless tactical leader in the form of the Supreme Intelligence. The Inhumans were another of The Kree’s attempt to forge a weapon in their war against the Skrulls. They hoped that combining Celestial DNA with the primitive humans of earth might produce super soldiers to be sent to do battle with the Skulls. It was an experiment the Kree ultimately abandoned. Centuries passed and the war eventually made its way to Earth. The Avengers interceded and brought about a temporary cessation in the conflict. Later, The Skrull Empire suffered a significant blow when their throne world was destroyed and consumed by Galactus. With the Skrulls seemingly defeated, The Kree quickly became embroiled in a new war against the Shi’ar Empire. This first Kree/Shi’ar War came to an end with the detonation of the Nega Bomb, causing a rip in the space-time continuum that devastated the Kree Empire. The remnants of this empire were then annexed by the victorious Shi’ar. Shortly thereafter, the Kree’s high commander, The Supreme Intelligence, was assassinated in a coop orchestrated by the would-be usurper, Zarek. With the assistance of The Avengers, Zarek and his forces her defeated and Ronan the Accuser assumed lordship over a new and rebuilding Kree Empire. Later, the Shi’ar Majestrix, Lilandra, was murdered by the renegade Mutant, Vulcan, who then named himself the new emperor the Shi’ar. 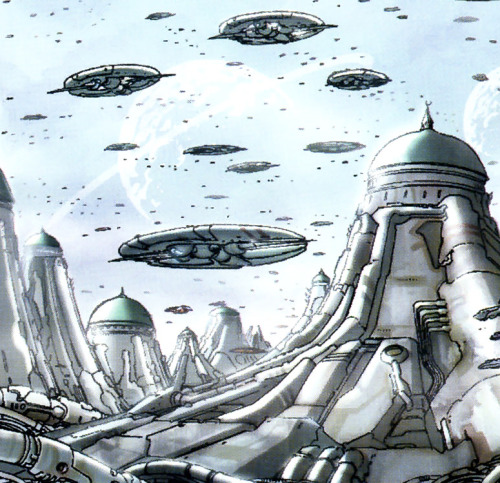 Vulcan began a campaign of conquest that looked to again annex the fledgling new Kree Empire. 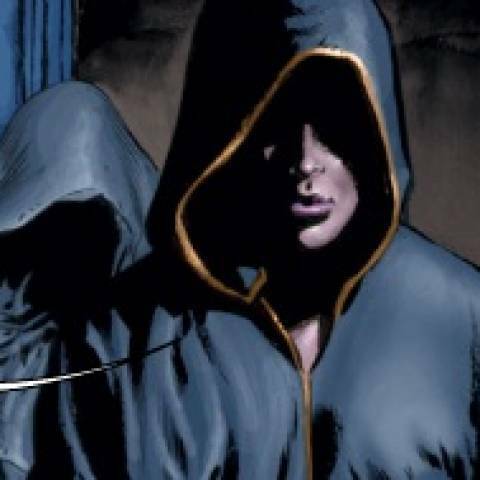 Following The Secret invasion event, Ronan entered into a pact with the Inhumans of Attilan. Led by The Inhumans, The Kree fought back The Shi’ar and Emperor Vulcan was defeated and destroyed by Black Bolt. In the aftermath of this war, Queen Medusa was made the ruler of the Kree Empire; a matter that was further cemented by the marriage between Ronan the Accuser and Medusa’s sister, Crystal. The Inhumans ruled the empire for a brief time until Black Bolt led the Kree in a brief and decisive battle against the Council of Alternate Reality Reed Richards. In the wake of this battle, a time-displaced adult Franklin Richards negotiated a peace treaty between earth and the Kree. The Inhumans abdicated their rule over the Kree and the marriage between Ronan and Crystal was annulled. 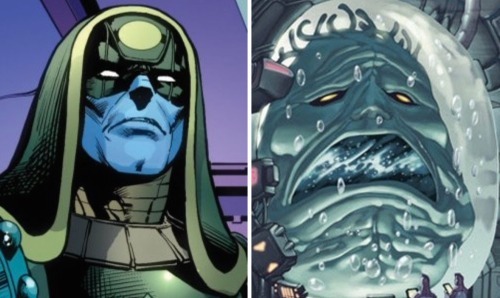 Captured members of the Council of Alternate Reality Reed Richards were merged in a process that created a new Supreme Intelligence, who then ruled the new Kree Empire alongside Ronan The Accuser. In the wake of the Infinity Event, The Kree emerged as an invigorated and powerful force through the cosmos. Some time later, The Kree homeward of Hala was destroyed by the Slaughter Lords, a group of villains empowered by the Black Vortex. The Empire has since establish Nova Hala IV as its new throne world. More recently, operatives of the Empire have acted in a fashion suggesting they are no longer interested in honoring the treaty enforcing noninvolvement with earth. Black Bolt encountered and dispatched several Kree agents who were conducted experiments on Earth and the Kree general, Padd-Varr, waged a brief and unsuccessful attack on the young Inhuman known as Moon Girl (a conflict that was actually the result of the general’s mischievous son, Mel-Varr). What the future holds for The Kree and their involvement in the affairs of the Inhumans remains to be seen. 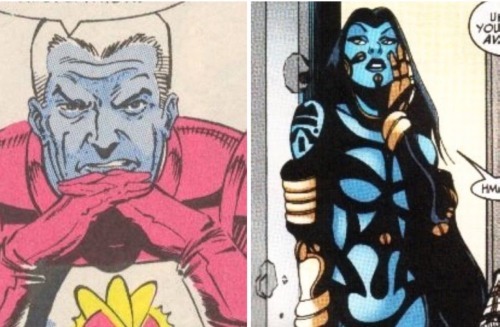 There are many notable Kree characters who have appeared over the years. The following are just some of the names and faces who are likely to be referenced or possibly show up in future issues of The Royals. Captain Mar-Vell, the greatest hero of Hala whose powers were eventually passed on to Carol Danvers. Noh-Varr, a Kree from an alternative time-line. He possesses powers and abilities far superior to the Kree of the 616 reality, indicating that he hailed from a version of the Empire that was able to traverse the upper limitations of Kree evolution. 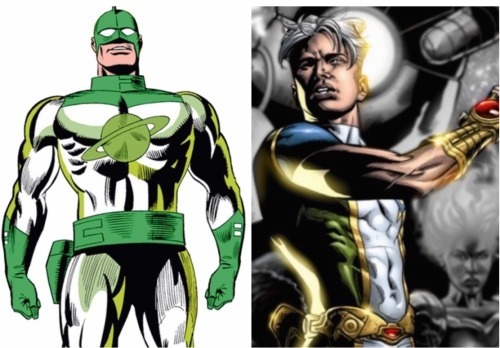 Noh-Varr has been a member of the Avengers and Young Avengers and is set to be the Royal guide in their foray into the cosmos. Carol Danvers. 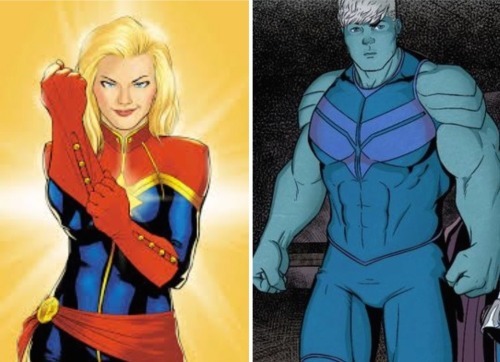 A Kree/Human hybrid who gained the powers of Mar-Vell and is the current Captain Marvel. She is the leader of Alpha Flight, a planetary security force that protects the earth from extra terrestrial threats. Hulkling. Teddy Alman (or Prince Dorrek VIII), a half-Kree who is the son of Mar-Vel and the former Skrull princess, Anelle. Hulking possesses Skrull-based shapeshifting powers and has served as a member of The Avengers. 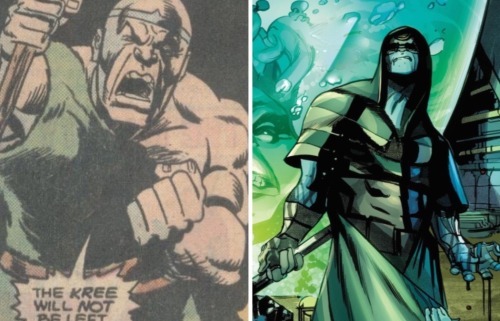 Both the Kree and Skrull Empires have sought to claim Hulking as their own due to his prestigious family lineage. Ronan The Accuser. A military high commander who rose through the ranks to lead the Empire. 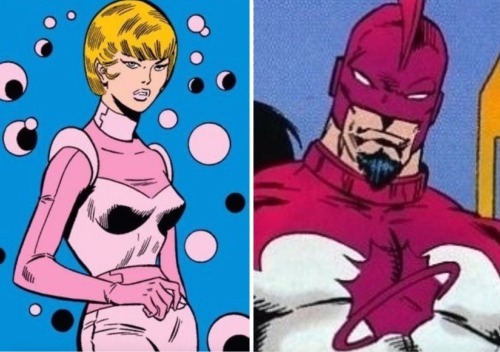 He has acted as both enemy and ally to the Inhuman over the years and, though they parted on poor terms, it seemed clear that both he and Crystal maintain very strong feelings for one another. It is a rather sure bet that Ronan will play a part in The Royals’ adventures in space. The Supreme Intelligence, or Supremor, is the tactical and intellectual leader of the Empire; an organic computer who is a living depository of the collective knowledge of their entire race. Although not one to put stake in spiritual prophecy, Supremor remains steadfast on wanting to destroy the Inhumans so to prevent an ancient prophecy dictating that The inhumans will one day destroy the Empire. Phyla-Vell. 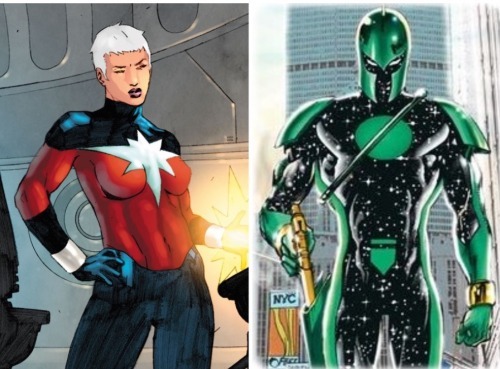 The daughter of Mar-Vell from an alternative timeline. Phyla took on the mantle of her father and acted as the new Captain Marvel. She later assumed the mantle of the hero, Quasar. Phyla was apparently killed by Maelstrom, but it is quite likely that she will return at some point in the future. Genis-Vell. The artificially created son of Mar-Vell. He too took on the mantel of his father and acted as the new Captain Marvel. He was later apparently destroyed by Baron Zemo. Doctor Minerva is a renegade Kree scientist who has been a reoccurring adversary of Carol Danvers. Through her genetic experiments, Min-Erva has managed to endow herself with the same powers as Captain Marvel. 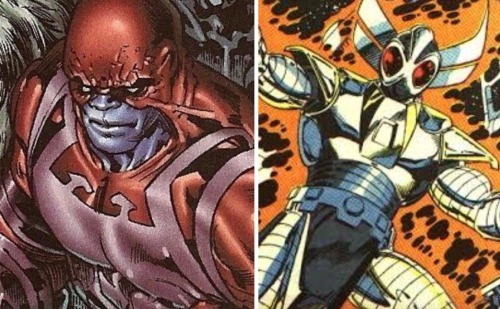 A former member of ‘Star-Force’ Kree task force it is possible that the villain will cross paths with The Royals. Mel-Varr (also known as Kid Kree) is a Kree youth, daydreamer and troublemaker who has tasked himself with hunting Inhumans as an effort to win the approval of his overbearing father. 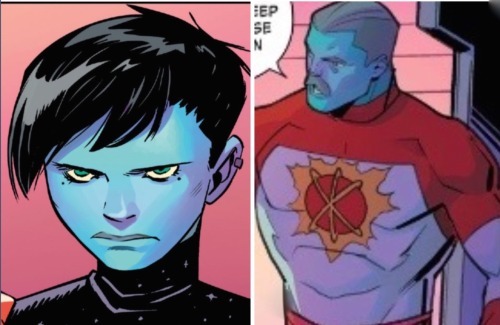 Kid Kree chose to track down the Inhuman, Lunella Lafayette, yet instead of capturing her he fell in love with her and was heartbroken and crestfallen when Lunella rejected his ovations and his father had to collect him from Earth. It is very unlikely we have seen the last of Kid Kree. Una. A former love interest of Mar-Vell and the medical officer aboard the craft that brought him to earth. Una tragically perished during a mission on Mars. Bel-Dann. A Kree colonel and decorated warrior who acted as a participant in the combat trial of Jan Grey. Rather than fulfilling his duty to try to conquer the X-Men, Bel-Dann instead engaged in a grudge match against a Skrull soldier who was also their for the trial. The battle between the two waged for years, well beyond the trial. Their elongated conflict ultimately disrupted the marriage of Black Bolt and Medusa, after which both combatants were returned to their respective home worlds by The Watcher. 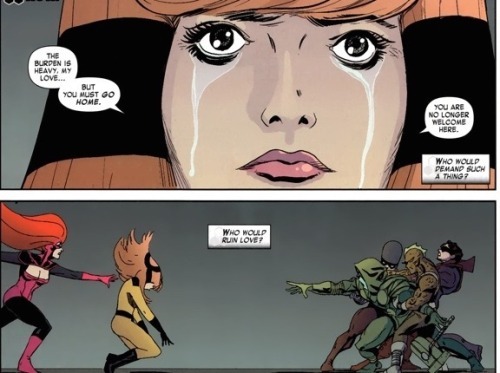 It’s quite likely that Bel-Dann still holds animosity toward The Inhumans for their interference. Yon-Rogg. A former colonel of the Kree Empire and longtime adversary of both Mar-Vell and Carol Danvers. His current status and whereabout are unknown. Mon-Tog. 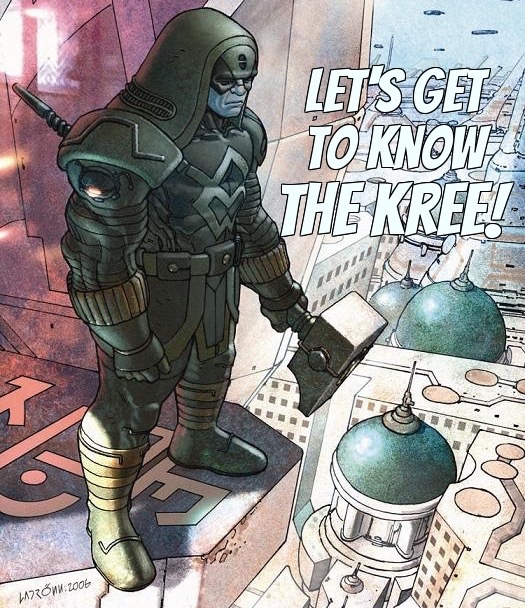 A major in the Kree Empire and former adversary of The Inhumans. Ton-Tog waged a hard-fought battle against Attilan and nearly proved victorious. He is a skilled combatant and his use of advanced weaponry nearly enabled him to defeat Black Bolt in single combat. Mon-Tog was ultimately defeated and forced to return to manning a Kree outpost near the Stent Star Cluster. It’s a sure bet that Mon-Tog is desirous of a rematch against The Inhumans and quite possible that we will see him show up in the pages of The Royals. Korath the Pursuer. ‘Pursuers’ are a special designation among the military of the Kree, scientifically endowed individuals sent to extract vengeance on any who defied the empire. Karate was originally sent to earth to destroy the Inhumans; a mission he ultimately failed to complete. Korath has since been recruited into the StarForce program and his current whereabouts are unknown. It’s a very good bet that he and the Inhuman will cross paths again some time soon. Shatterax. A cybernetically enhanced Kree solider who served in the Kree special missions program known as StarForce. 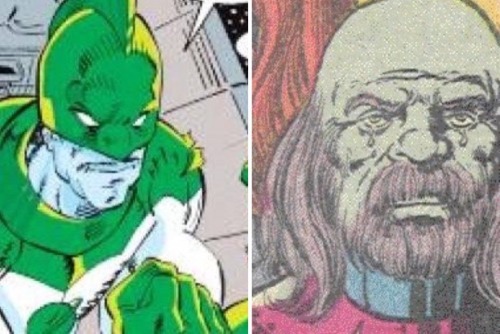 His current whereabout remain unknown, but it is possible that The Inhumans may run afoul of StarForce at some point in the pages of The Royals. Ko-Rel. A Kree captain who became a member of the Nova Corps while protecting and caring for a critically injured Richard Rider. Ko-Rel fought valiantly but ultimately perished during the Annihilation cross-over event. Wraith. A mysterious Kree renegade who wields dark force energies and possesses unspecified psychic abilities. The Wraith proved an invaluable asset to the Kree in their battles against The Phalanx. His current status and whereabouts remain unknown. At-Lass. A Kree captain recruited by Minerva and imbued with superpowers. 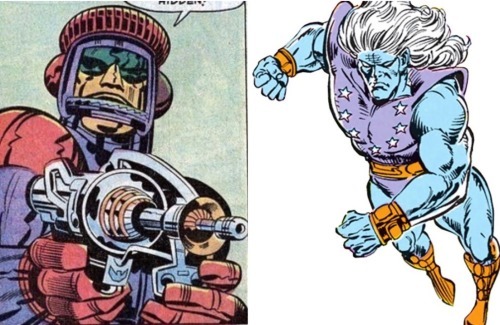 He served as a member of the StarForce and was later mutated into a monstrous being by a device called the Psycho-Magnatron. Falzon. A kree scientist and weapons designer who created the super soldier known as Shatterstar (who was sent to earth to eradicate The Inhumans). The test subject who became Shatterstar was actually, Falzon’s son, Arides. Falzon had a change of heart, siding with the Inhumans as part of an effort to save his son. Shatterstar turned on his father and murdered Falzon before being defeated by The Inhumans. Shatterstar. Arides,a Kree soldier who was transformed into an experimental super soldier by his scientist father. Although the process endowed Arides with vast powers, it also drove him mad and he killed his father. Shatterstar was ultimately defeated and seemingly destroyed; though it is possible that he or another version of Shatterstar might return to bedevil The inhumans. Mac-Ron. A skilled Kree scientist and frequent ally of Ronan The Accuser. He hasn’t been seen from in some time and his current whereabouts remain unknown, but it is possible that he may return in the future. Ael-Dan. A former Kree general and one time emperor who managed to usurp The Supreme Intelligence to gain rulership over The Kree. Ael-Dan’s rule proved temporary, however, as he was killed by Deathbird of The Shi’ar. Una-Rogg. The daughter of the Captain Marvel foe, Yon Rog. Uma possesses vampire-like powers that allows her to drain the life energies from others by way of physical contact. She set out to avenger her father’s death and ended up battling Mar-Vell’s son. Genis-Vell. Uma-Rogg has been banished from the Empire by Ronan and her current whereabouts remain unrevealed. Pad-Varr and Ell-Vok. 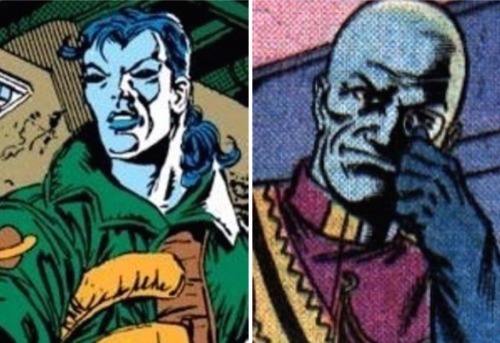 The parents of Mel-Varr, the Kree youngster known as Kid Kree. 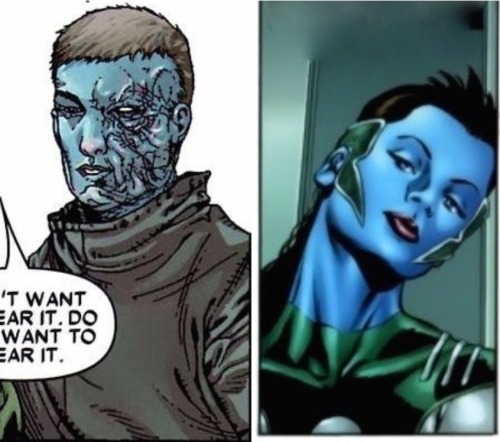 Pad-Vara is a high-ranking general among the Kree military forces of Nova Hala IV; although it his wife, Ell-Vok who is actually vey much in charge of things in the Varr household. Sentry(s). Sophisticated and highly powerful androids that Kree explorers leave on planets so to monitor the development of the native life. The androids monitor the progress of the natives and, if at any point they progress to a point where they may prove a threat to The Kree Empire, The Sentry then activates and uses its awesome powers and advanced weaponry to wipe this life out. Sentry androids have additionally been utilized in military campaigns. Ultimus. A Kree powerhouse who is both a Kree as well as an Eternal. Ultimo battled Thor and later returned to Hala where he was made a member of the Starforce in the Kree’s war with The Shi’ar Empire. His current whereabout are unknown. He’s a tough customer and could definitely stand his own against Black Bolt. It would be a cool battle to see. The Priests of Pama. 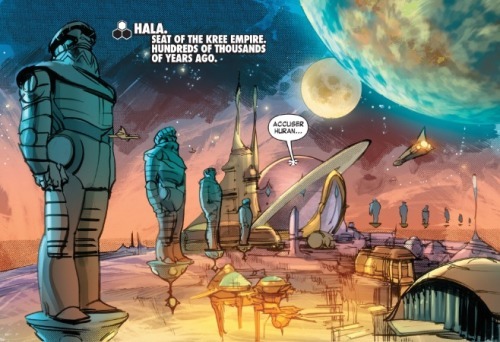 In the earlier history of Hala, The Kree shared the planet with a cousin race known as The Cotati. These were a much more peaceful and spiritually inclined people whom the militarized Kree subjugated and nearly all but wiped out. What was left of The Cotati fled Hala to places unknown, some ending up on Earth where they fostered a secret enclave in a remote corner of Viet Nam. 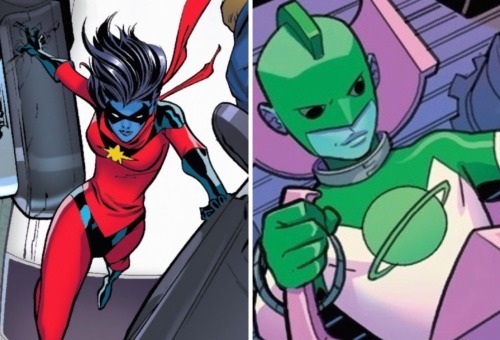 They continued their spiritual practices, training the hero and former Avenger known as Mantis; these mystics additionally assisted Phyla-Vell. Some of the Cotati remained on Hala and assimilated into Kree culture, ultimately founding the bedrock of the spiritual faith of The Kree people. Morag. The first ruler of the nascent Kree Empire. Huran The Accuser. The lord of the Accuser Caste thousands of years ago. The Supreme Intelligence had learned of a prophecy suggesting that the Kree’s Inhuman experiments would bring about the downfall of the Empire. Not will to risk such a fate, all such experimentations were abandoned and Huran was sent to cull all of the Inhumans created throughout the galaxy. Huran did not possess the complete list of all such planets and five managed to survive; the Earth and its Inhumans were among this group. Galen Kor. A veteran of the Kree/Shi’ar War who sought out vengeance on the Avengers for their interference. Later, Kor was placed in charge of a forward operations base during the Annihilation event. He tasked Peter Quill (Star Lord) with a dangerous mission to take out a Kree settlement that had been overrun by the Phalanx. The team Quill ultimate recruited for this mission became the new Guardians of the Galaxy. Ten-Cor. Galen Kor’s assistant and chief medical officer. Ten enjoyed a friendly and flirtatious relationship with Peter Quill (Star Lord). Zarek. The self-proclaimed prime minister of the Kree Empire and founder of the Lunatic Legion. 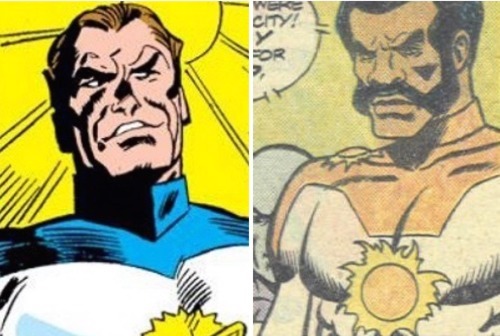 Zaire was a zealot and racial supremacist who believed that blue-skinned Kree were superior to their pink and brown skinned cousins. He formed his Lunatic Legion as part of an effort to overthrow the Empire and impose his racist agenda. As part of an effort to neutralize the threat this would-be dictator posed, The Supreme Intelligence posed Zarek and his forces against Captain Mar-Vell. Mar-vell handily defeated the Legion and Zarek was deposed and banished from the empire. Devros. A former grand admiral of the Kree armada. Devisor was captured by the Brood and transformed into their new Brood King, reselling a hybrid Brood/Kree being. Devisor was ultimately defeated and killed by Captain Mar-Vel. Talla-Rann. A lieutenant in Zarek’s Lunatic Legion. Rann was dissolved by a malfunction in the omniwave projector. Sro-Himm. A scientist, ally to Zarek, and member of the Lunatic Legion. Sro-Himm created the super villain Nitro who was sent to destroy Captain Mar-Vell. The scientist was banished from the empire with the rest of the Lunatic Legion and his current whereabouts are unknown. Please let me know if there are any key pieces of Kree history I’ve omitted or notable Kree characters who should be included in this list! More Inhumans Coming to Marvel Future Fight?